Ideal group venue and offer family, conferences, team-building and functions packages. Bushveld weddings is a specialty and the stone thatched chapel, “river or tree” church and campfire reception will ensure an unforgettable wedding. 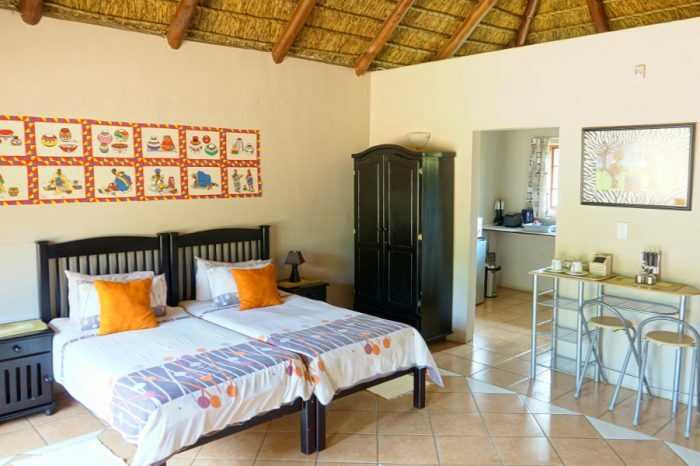 The lodge can sleep up to 70 guests comfortably comprising a variety of accommodation types, ranging from 10 en-suite log cabin rooms, 4 A-frame rock chalets, three 2 bedroom log units and another 10 brick built thatched rooms, all located comfortably apart from each other within our lodge’s lush gardens and amongst the Tamboti trees. A-frame Rock & Thatch free standing rooms. Open-plan sleeping area with double bed & 2 single beds. En-suite bathroom with toilet, basin & shower – 4 pax max per chalet. 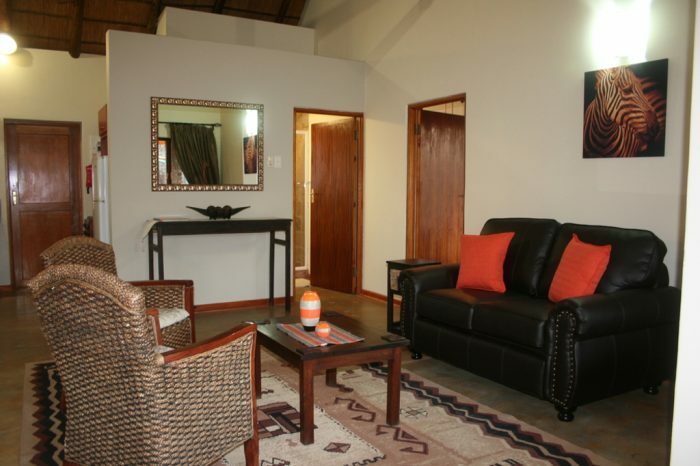 Self-catering log cabins, 2-bedrooms with 2 en-suite bathrooms, which comprises a toilet, basin, bathtub & outdoor shower. Bedrooms adjoined by kitchenette – 4 pax max per chalet. 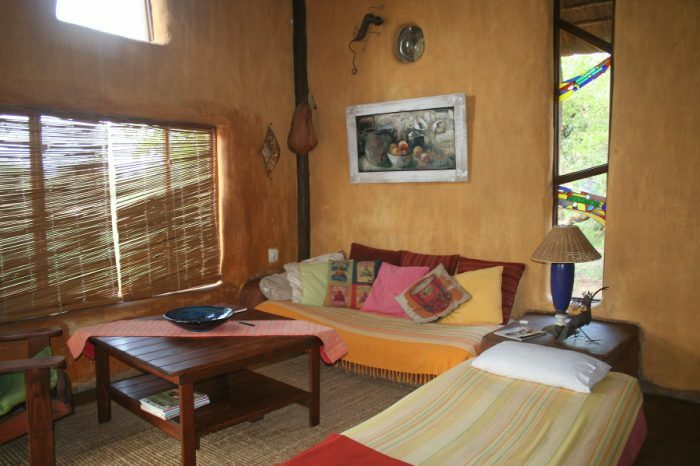 These Brick & continual thatch roof, rooms are adjoined by a long patio (side-by-side) . Each room has an en-suite bathroom with a toilet, basin, bath and separate shower – 2 pax max per chalet.